Simple yet modish, this mens analogue watch from Skagen will be a perfect addition to your watch collection. This watch displays a round dial shape with an aperture. Featuring a stainless steel strap, this watch will be a perfect pick for casual occasions. 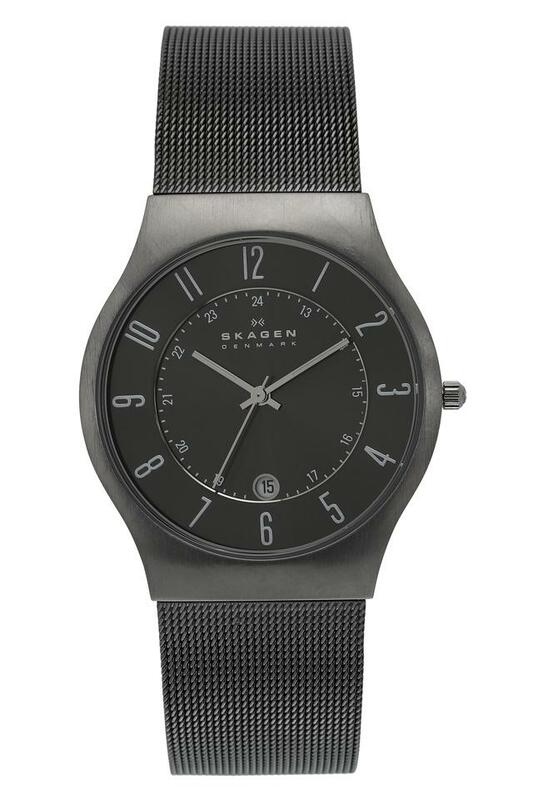 A perfect fusion of modern design with classic elements, this Skagen mens analogue watch is sure to lend an upscale touch to your personality. Wear it with your casual outfits to look smart.